At last! the perfect gluten free cupcake. You really will not be able to taste the difference. 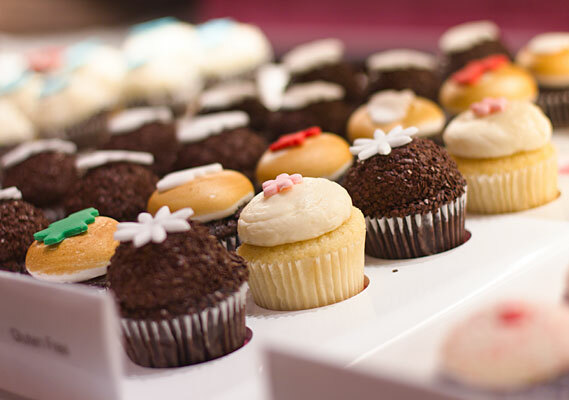 Kara’s Cupcakes to San Francisco is like Sprinkles to Los Angeles or Magnolia to Manhattan- this is why the concept of the trendiest cupcake spot in SF offering a gluten free option initially seemed out of the question. The first few times I was dragged into Kara’s, a GF option did not exist. Somehow they finally got the hint and and boy did they get it right! Kara’s Cupcakes currently offers two classic flavors of gluten free cupcakes: vanilla and chocolate. Both versions have a wonderfully light, fluffy texture- a welcome departure from your average dense and crumbly gluten free baked good. The vanilla cupcake is topped with a very sweet, buttery swirl of frosting while the chocolate is smothered with a mousse-like one. 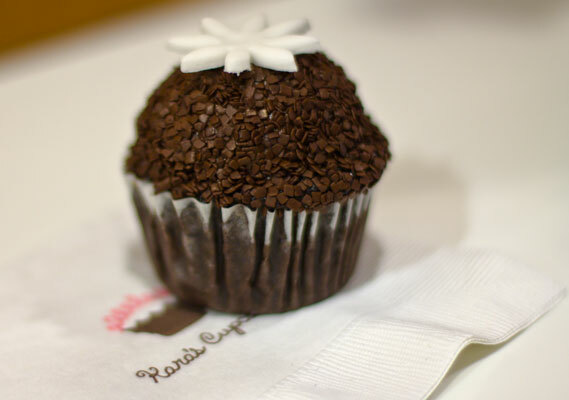 If you are ever craving sweets while strolling through the Marina or need to pick up a dozen cupcakes for a party, Kara’s is a great go-to. A nice bonus is that they use locally sourced ingredients whenever possible- I was also assured that they use dedicated GF baking tools/kitchen space, however there is a risk of cross contamination as they do not claim to be a certified GF bakery. When I went into Kara’s they explained to me that the cupcakes are made in a shared kitchen with the regular products and they don’t recommend that people with serious allergies or celiac disease consume their products. Looks like we were told two different things by their staff…While I knew they couldn’t guarantee their products as 100% gluten free due to shared kitchen use, I was told that they have separate areas where the gf cupcakes are prepared to avoid cross contamination. It sounds like they need to work much harder to prevent cross contamination entirely- otherwise, why bother doing gf at all? This is really disappointing. I went in to try their GF cupcakes and they told me that I shouldn’t purchase them if I have celiac disease. The woman behind the counter said that her grandmas has celiac disease and she cannot eat the GF cupcakes form Kara’s. Very disappointing.